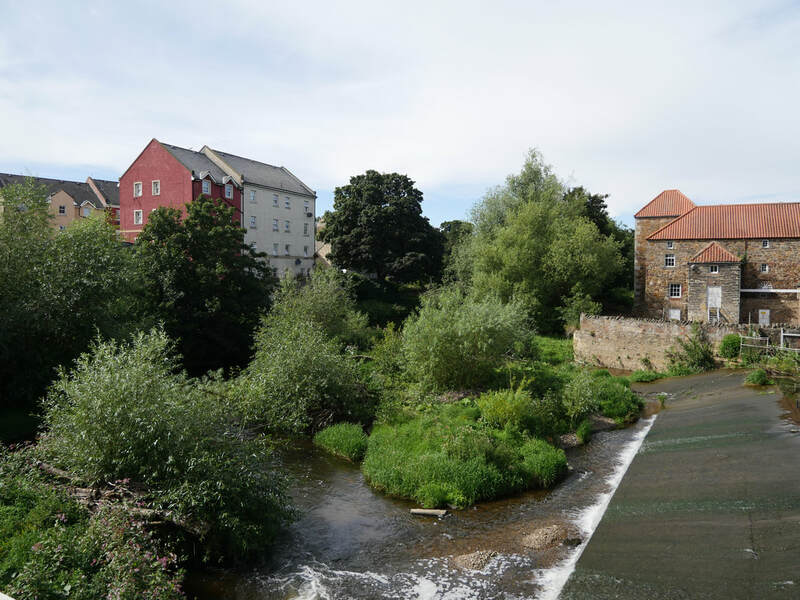 Haddington is an old market town that became a prominent mill town, many of the mills are still standing and have been/are being re-purposed. 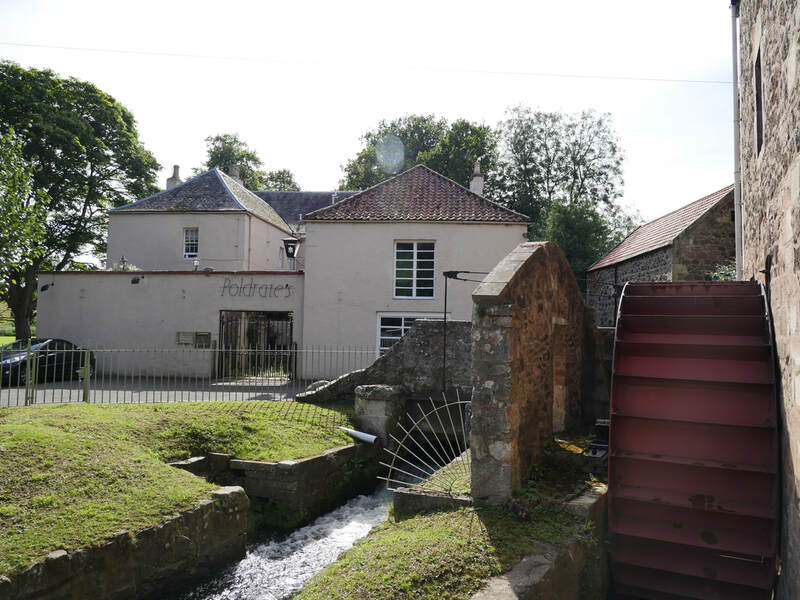 There are two weirs within the town and lades that drew water supplies for the mils are still extant. 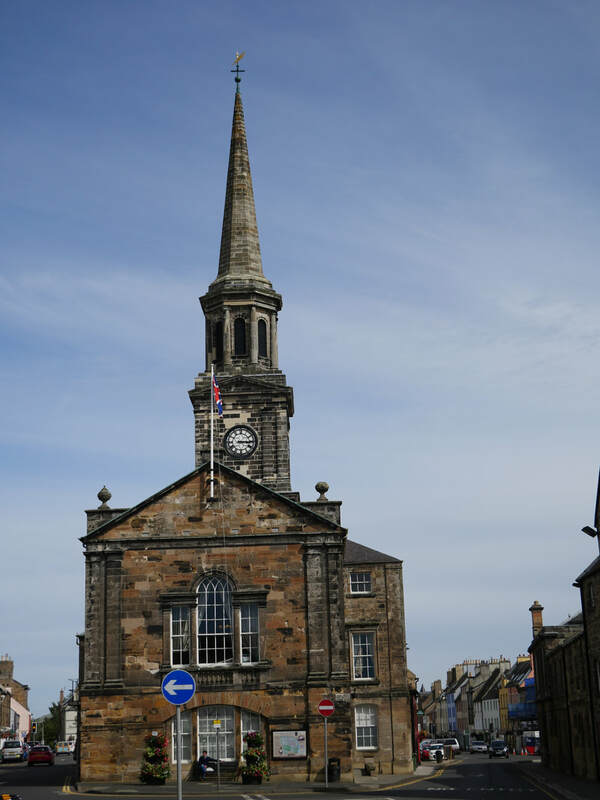 Haddington is the county town of East Lothian (though for a period the area was known as Haddingtonshire). The buildings in the town centre are of a grand nature clearly speaking to the wealth if the town in the 18th and 19th centuries. 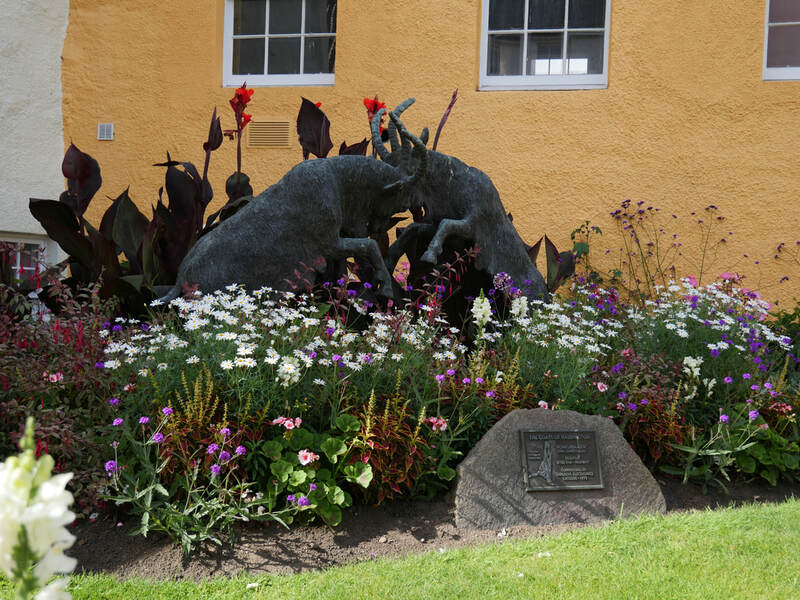 The origin of the goats which are on the town crest is appently lost in the mists of time. 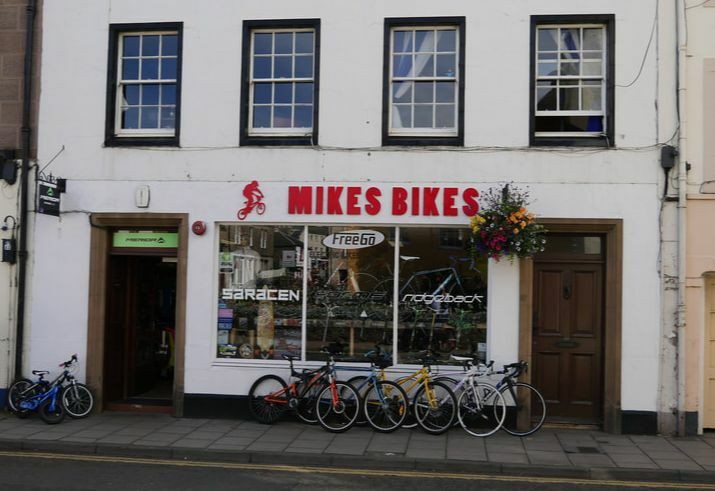 Haddington doesn't have a distillery - the nearest isn't too far away though - Glenkinchie near Pencaitland (8 miles, mainly on cycle route 196). 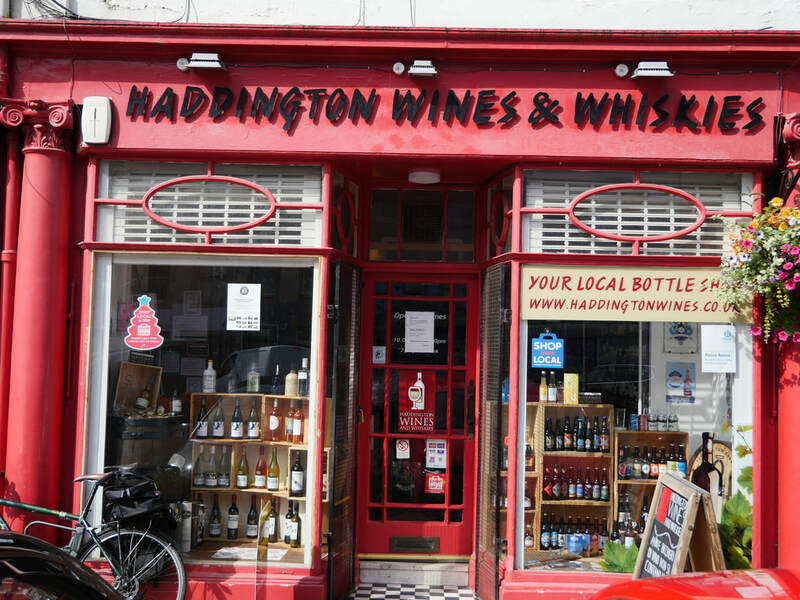 There's a Whisky Shop - Haddington Wines and Whiskies (01620 826851) - more emphasis on the wine, but around 100 whiskies - website qouted on window doesn't seem to be active but they have a facebook page - if they can't provide what you want, Edinburgh's many whisky shops aren't too far away! 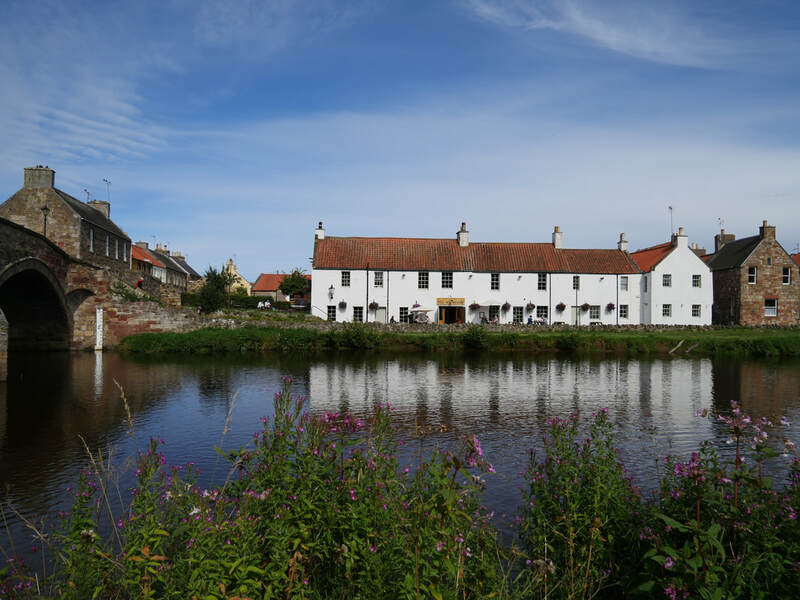 Haddington was established on a River Tyne (that meets the sea just north of Dunbar). 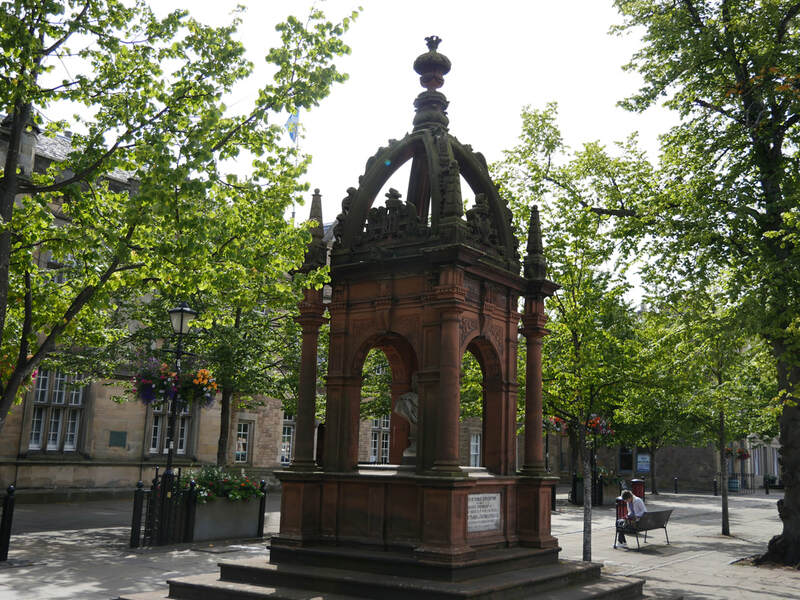 It is 20 miles East of Edinburgh on the old Great North Road and was regarded as a gateway to Edinburgh. It was by-passed in the 1930s by the then A1 (now A199), upgraded again in the 1970s. 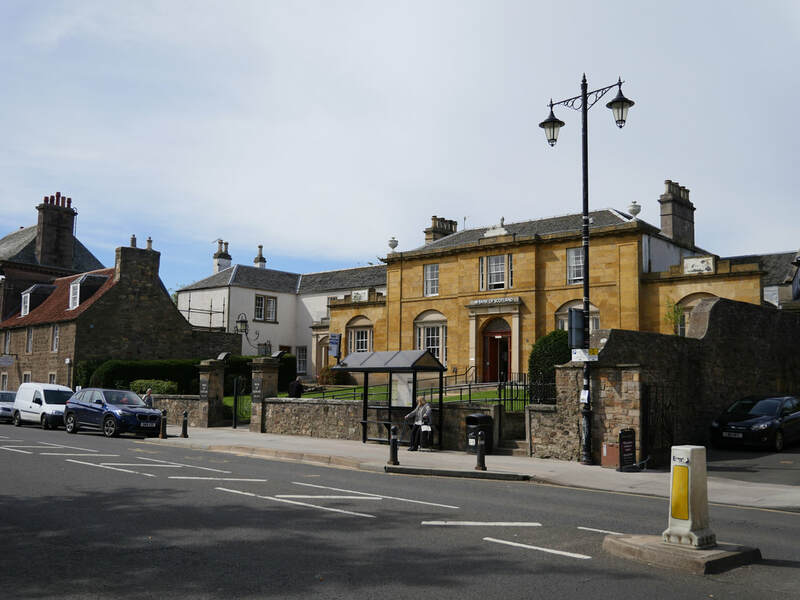 With the coming of the railways, Haddington found itself away from the mainline - despite some campaigning for the line to run through the town, but a branch line was built, which opened at the same time. The branch line ended half a mile short of the town centre and ultimatley lost out to the frequently upgraded road network, with the line closing to passengers in 1949. The line has for the most part been converted into the Railway Walk, but the hospital has now obliterated a part of it, though a section of the platform with a station building on it remain. 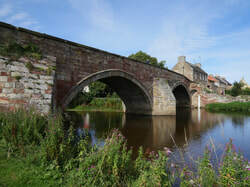 Haddington is on National Cycle Route 76 and 196 and has some other signed local cycle routes. 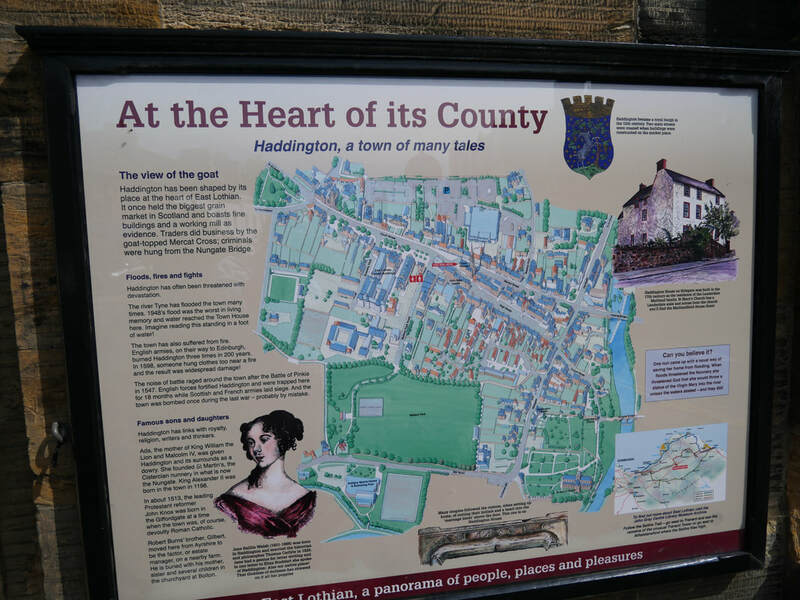 Haddington once had a railway of its own, but the Branch line was closed even before Beeching could get his hands on it. The nearest station is now Longniddry (LND) which has level access to both platforms (Platform 1 from the Station Appraoch off the roundabout; for Platform 2 (towards Edinburgh) from the roundabout take the B1377 towards Drem, then follow the signs for the Cycle path to Haddington under the railway, and back up the other side continue staright on rather than doubling back to the Haddington Railway Walk. Hourly trains to Edinburgh and North Berwick, (half-hourly on Saturdays). A few trains a day run through to Glasgow and Ayr Live train times. 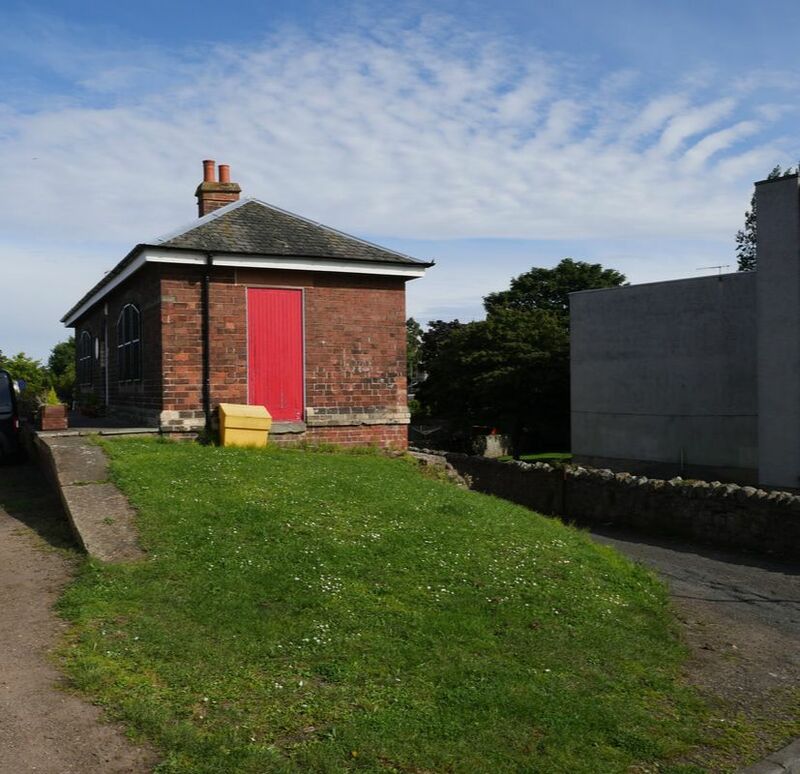 From Longniddry, take the Haddington Railway Walk along the old Branch line to get to Haddington - about 4.5 miles. Drem (DRM) station on the same line is roughly the same distance away, but a rather more hilly route passing close to the Hopetoun Monument.